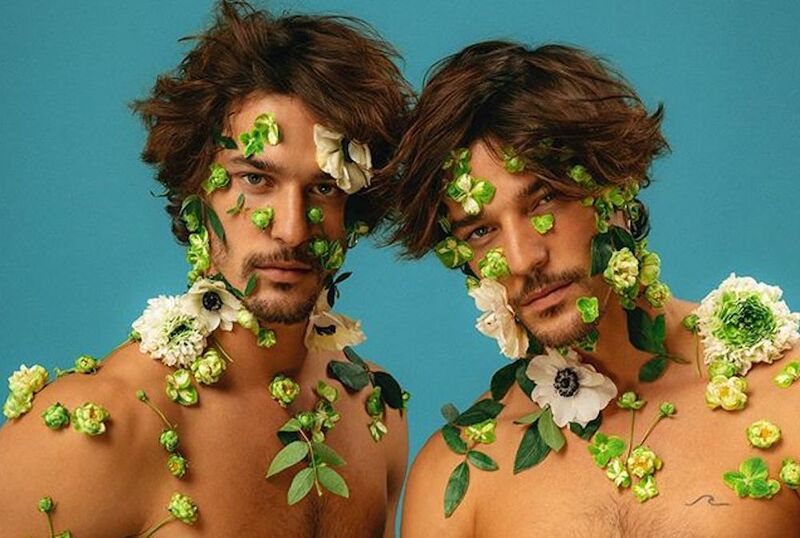 The spring has sprung, the grass is green, Flower Power By Chantar for VMAN #41 is here. Out with the old, in the with new…season, that is. How will you be spending yours? Travis Chantar hails from the mountains of Idaho, studied music in Minnesota, and landed in Brooklyn as an artist and photographer. He first encountered a love for decorating and photographing people in high school, and then progressed to creating poster imagery for shows in college. Upon graduation, he combined a love for painting and portraiture in a body painting series called, “Tribe,” resulting in a book and solo show. In 2014, he transitioned to New York and began assisting Ryan Pfluger’s high profile shoots for publications such as Vogue, New York Times, Billboard, Elle, Netflix, WWD, and more. Independently, his work has spanned book and album covers, product campaigns, and portfolio work for creatives. Most recently, Chantar published editorials in Risk Magazine, Out Magazine, FGUK Magazine, Natural Pursuits Magazine, Kaltblut Magazine, and VMAN Magazine. Exciting to present this stunning Nicola Formichetti gather around models such as Merlin Neal, the blonde guy Ionut Radu, Rontez Valentine and twins Edu & George Roman. Mother nature claims back her turf. Let’s take care of our Mother Nature, let’s be responsible of our actions in this earth. Let’s share and give good and positive vibes for this Spring, let’s be more human and less inhuman. Covering naked torsos with real flowers, Chantar gives directions to the male muses to pose like Greek statues, cherubs from the Mother Nature. This issue is available on the Sold out issue #41 of VMAN. Model: @radu.ionut99 , @x.valentine , @eduromann & @georgeromann & @merlinneal (@nextmodels).